Unless otherwise stated events are in the Province of Aberdeenshire East. 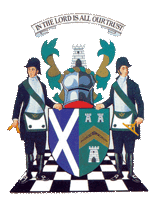 P.M. Bro.Ian (the Masonic Messenger) Bain & the Boxie Auld Deacon Gordon Hanton for the information supplied here. These Web pages were written without fee as an information service for the Brethren of The Fraserburgh Lodge of Freemasons #1055, the Masonic brotherhood, and other interested parties, and for the promotion and welfare of the fraternity by Duncan Russell on behalf of The Fraserburgh Lodge of Freemasons #1055 on the roll of The Grand Lodge of Scotland. It is appreciated that the content will be treated as such by the readers. 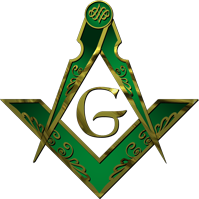 A great debt is owed to the thousands of Masonic Authors, Past Master's, and Brethren who have practiced the liberal arts and sciences and who have left us a legacy of Masonic history which is represented in and by these pages. Any one able to identify and properly credit any of the material posted here, please do so. If any material is posted here in violation of any copyright, please notify us so that it may be rectified immediately. Rest assured, we posted the material because it was an inspiration to us, and we hoped a benefit to others. Consider allowing us to leave the material, and properly credit the creator. Please respect all of our efforts in this area by respecting our various copyrights, and the copyrights of all web sites you visit. If in doubt please contact the Webmaster (details on Contacts Page). This copyright notice has been written to hopefully cover everything that is currently on the site & provide future cover for a variety of pages yet to come.